The event on 12 October has a magnitude of 3.2 and is very similar to, but slightly smaller than, the previous small event which took place on 23 September. 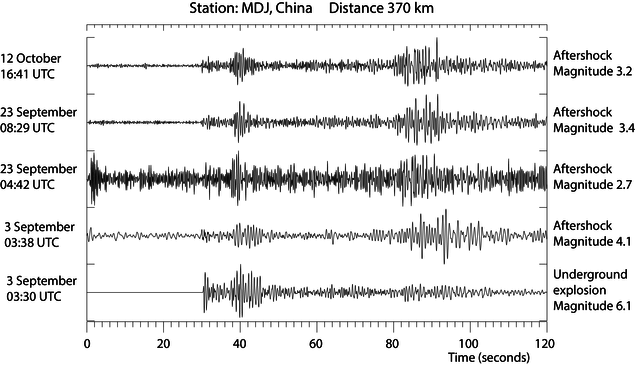 Our analysis of the seismic signals indicates more similarity with signals generated by tectonic sources than with the signals generated by the declared nuclear explosions. A likely explanation of the signals is an aftershock or rock failure resulting from the previous large underground nuclear test carried out on September 3, 2017. 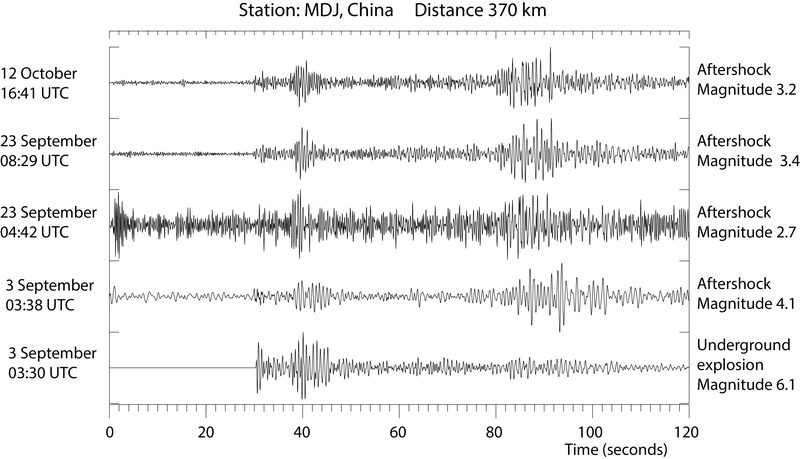 The figure below shows waveforms from the underground nuclear test on 3 September and the following smaller events recorded at station Mudanjiang (MDJ) in China, located at a distance of 370 km from the North Korean test site.